In this ongoing comparing assessments blog series, Anne Griswold, our Whole Brain ® Thinking Catalyst, is taking a look at the similarities and differences of many employee assessment instruments and how you might use them—individually and together—to achieve your business and talent development needs. 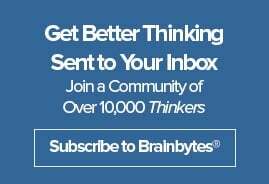 For this post, Anne discusses the Myers-Briggs Type Indicator® (MBTI®) and how it compares with Whole Brain® Thinking and the HBDI®. As we take a look at another assessment, let’s start once again with the premise. The premise of the Myers-Briggs Type Indicator (MBTI) is psychological assessment with a focus on personality, and it measures personality preference on four scales: Extraversion – Introversion (E – I), Sensing – Intuition (S – N), Thinking – Feeling (T – F), and Judgment – Perception (J – P). These personality preferences are then reported through the MBTI tool and result in 16 different personality types. The MBTI assessment is used as a part of work with individuals and teams to build self-awareness and help people understand differences. It is often used in leadership development to help leaders understand themselves, their behavioral motivations and the impact their differences have on others. It’s also used in areas like career planning, conflict management and decision making. In this ongoing comparing employee assessments blog series, Anne Griswold, our Whole Brain ® Thinking Catalyst, is taking a look at the similarities and differences of different assessment instruments and how you might use them—individually and together—to achieve your business and talent development needs. For this post, Anne discusses StrengthsFinder and how it compares with Whole Brain ® Thinking and the HBDI. One of the best starting points when looking at any employee assessment is its premise. As the name implies, the Clifton StrengthsFinder assessment is a talent assessment with a premise rooted in identifying strengths. It’s based on Gallup research that shows that people succeed when they focus on what they do best. Many companies think of employee assessments as performance management or recruiting and hiring tools. But this represents only a limited slice of the spectrum. Used properly and in the right circumstances, employee assessments can part of a powerful work toolkit, not just for evaluating job fit or lagging performance, but for helping people and teams work more effectively and accomplish their key business objectives. Choosing the right employee assessment for your team or organization can be confusing. Many instruments overlap in what they measure and in how they’re used. So, we’re kicking off a new blog series to compare those different assessments and dive into how you might use them to achieve your business and talent development needs. 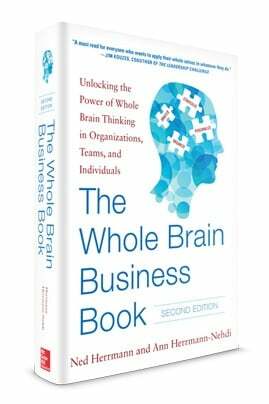 This series is written by Anne Griswold, our Whole Brain ® Thinking Catalyst. Anne has been a facilitator, trainer and coach for over 20 years, working both inside companies and as an independent consultant. She is certified in many assessment tools and leadership trainings programs, including the HBDI, MBTI, DiSC, Hogan, Firo-B, EI 2.0 and Franklin-Covey Training Programs. DiSC is a popular employee assessment that is a good tool for understanding different styles, behaviors and perspectives of ourselves, of other people and how we respond in different situations. Like the HBDI, it’s a four-factor model, but in the case of DiSC, each color-coded letter represents a behavior trait: D for Dominance, i for Influence, S for Steadiness and C for Conscientiousness. Unlike the HBDI—which has a brain-based premise that considers, “How do I process information?”—DiSC is a behavior-based assessment that considers, “How do I behave in a specific situation and how do others perceive me?” DiSC, like most assessments, gives us insight. Those insights are focused on the impact of the individual’s behavior. Whether you’re talking about a product or service, pitching an idea, making the case for budget allocations, or trying to convince someone to get on board with a new strategy, selling is a part of the job description for most of us in one way or another. As Dan Pink put it, To Sell is Human.